With Black Friday around the corner (and that other holiday where people eat turkey), the time to get the best deals on an Xbox One is almost here! On this post, we break down where you can buy a Xbox One deal on Black Friday (and where you can get the deal without leaving your house! 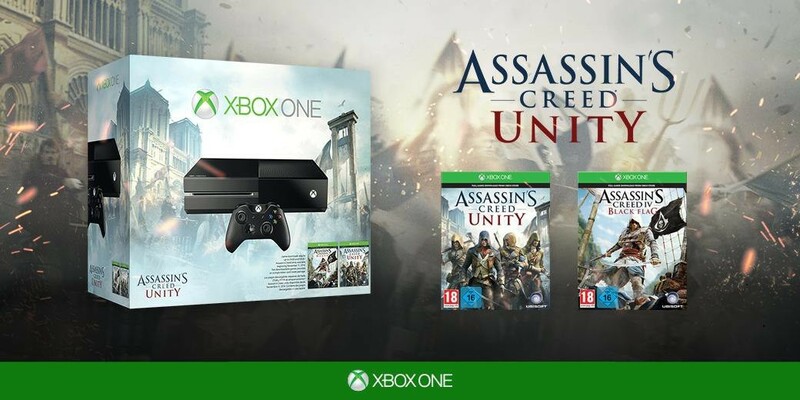 Target (online and in stores) will be having the holiday bundle with Assassin’s Creed Unity and Black Flag (no Kinect) for the price of $329.99 which also comes with a $50 Target gift card. If you decide to go to the store, check out using the console and use the gift card towards your other purchases. There is also a $10 discount on Xbox controller and a $20 discount on Xbox Live 12 month membership, but you will have to check out with the Xbox One console to get these discounts! Microsoft Store (online and in stores) will have the same bundle at the same price, $329.99, but with a free game (unfortunately, there isn’t a list of the games available), but the retail price on a game is $59.99 – theoretically a better deal than Target. Dell will also be having the same bundle for the price of $329.99 (no free game or gift card included). However, if you are a part of Dell Advantage (which is free you can get 5% back) and Dell preferred 10% back (which is their credit card option). Gamestop will also have the same bundle for sale, but with a $30 off a Xbox Live 12-month membership. Walmart will have a different bundle on sale – The Halo Master Chief Collection and it comes with a $30 Walmart Gift card. 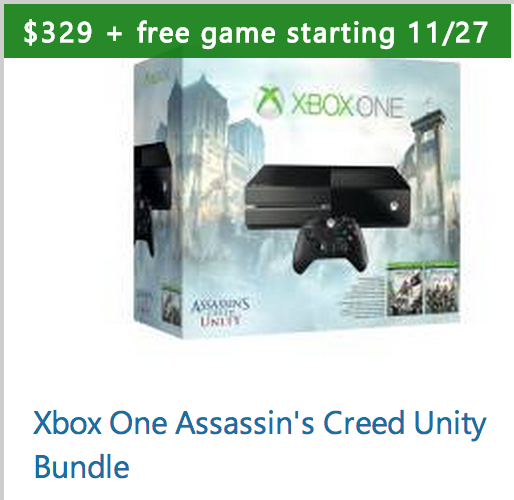 If you can’t wait until Black Friday, many companies are already selling these bundles for $349.99. Wherever you choose to buy your Xbox One – happy gaming and happy Black Friday… and don’t forget to enjoy that holiday where people sit around and eat turkey.